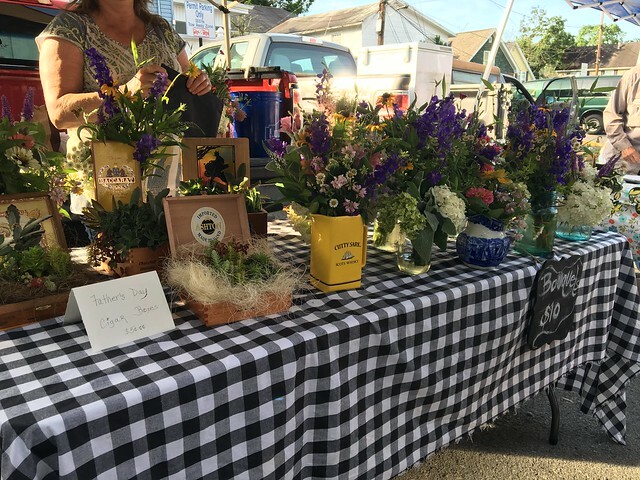 One brand new vendor at the Morgantown Farmers Market this year is Blomster Field Flowers. 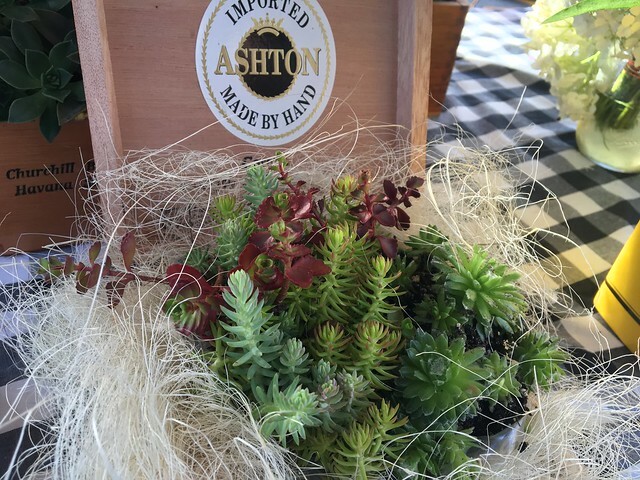 This vendor brings some of the most gorgeous flowers to the market! 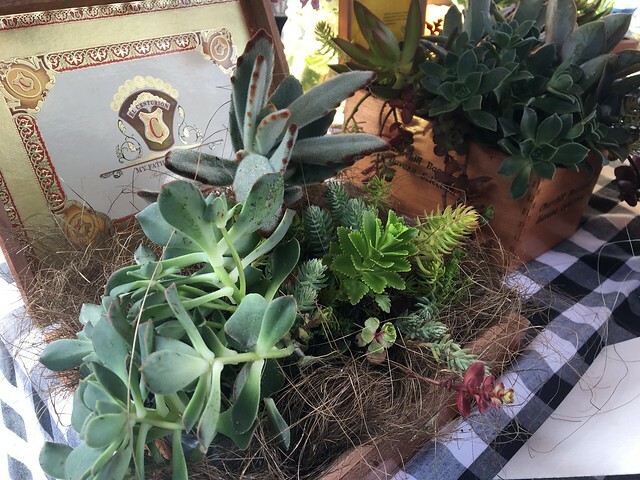 Take a look at these succulents for Father's Day! What have you bought from this vendor? Have you ever been sitting at home wanting a snack? But, you either don't feel like putting on pants or makeup or in general just seeing people? That's me, literally every Sunday. 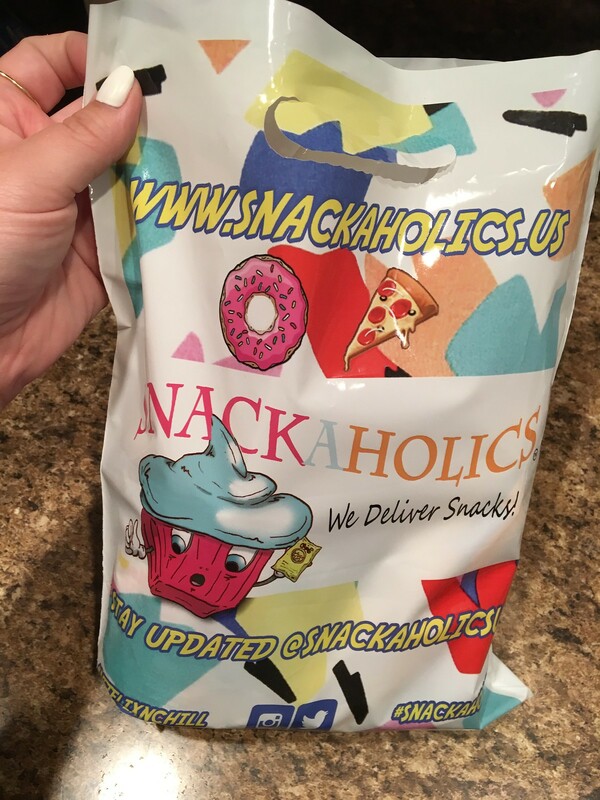 So, when I had a flyer delivered to my apartment a few months ago promoting "Snackaholics," I was intrigued. 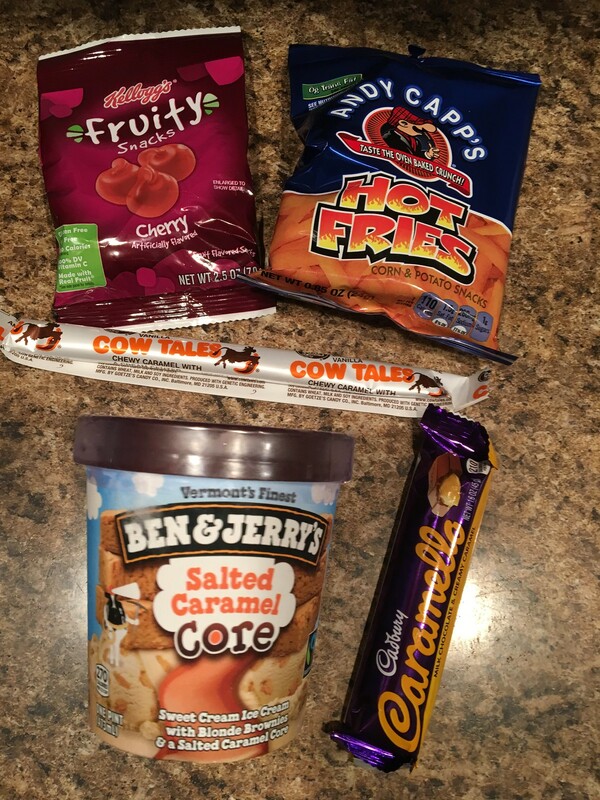 This company delivers snacks of all sorts - ice cream, candy bars, chips, even frozen pizza rolls - right to your door. There's no major upcharge, delivery is just $1, and it's quick. I honestly don't know how they're making money on this (and no, they didn't give me anything free to write this - ugh missed opportunity). 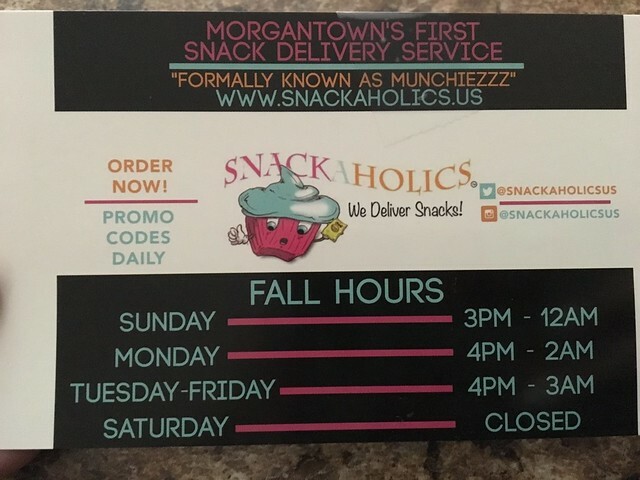 Snackaholics is open from noon to 3 a.m. and there is a coupon code that waives the $1 delivery charge if you sign up - just type "WELCOME" in the discount box. 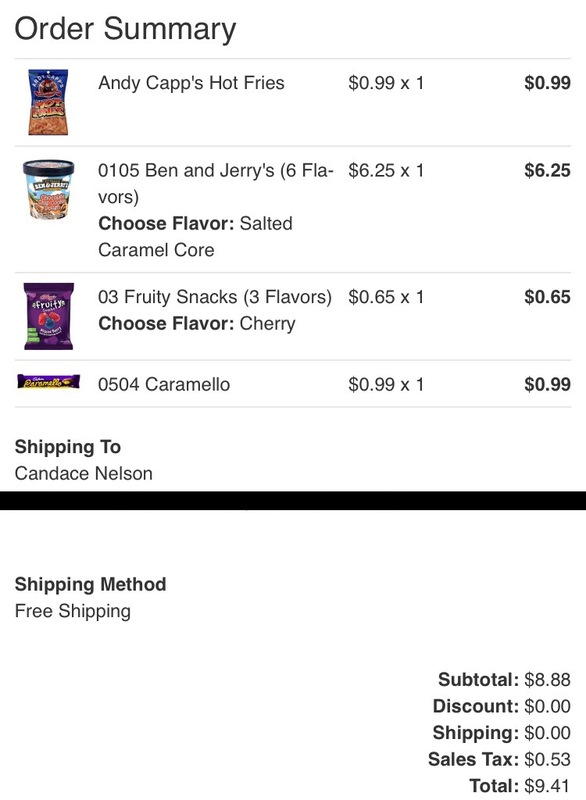 Anyway, I threw a couple items in my cart and paid via Paypal. I got a confirmation, then a text from my driver just a few minutes later. 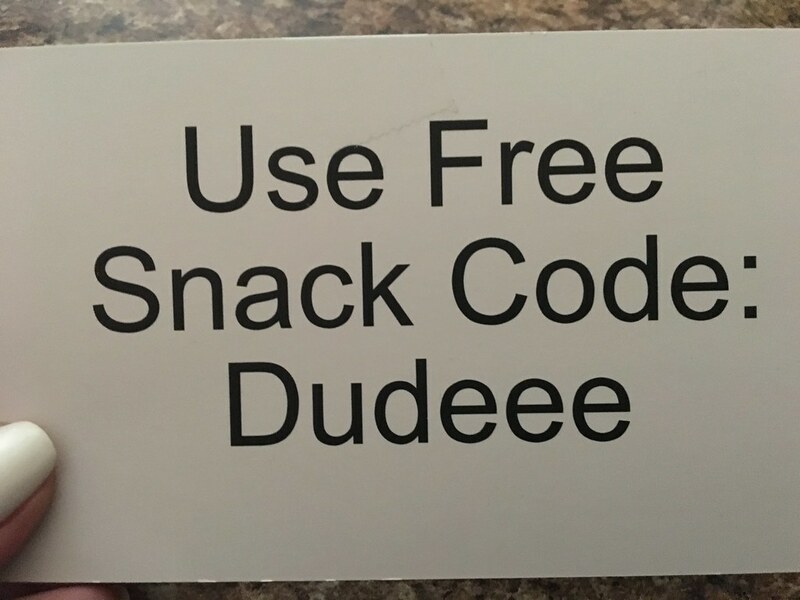 And, within 20 minutes of me placing my order online, I had tasty snacks at my door. 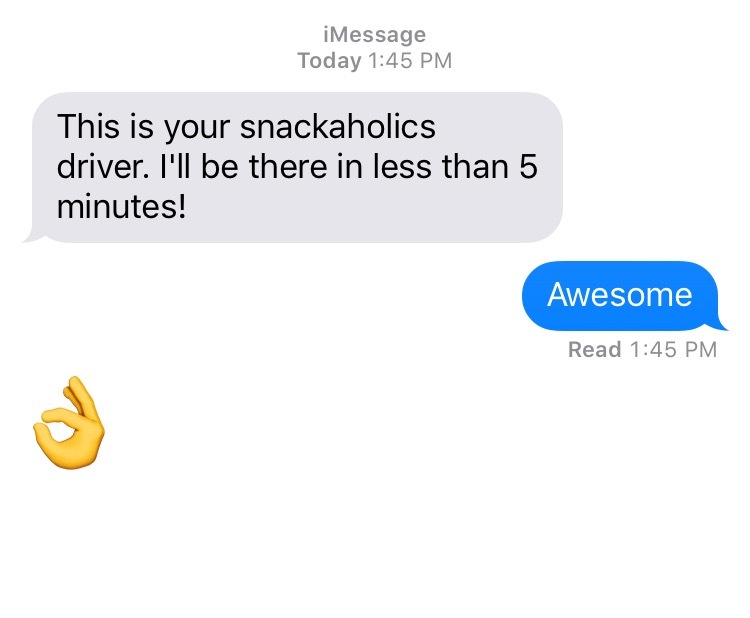 The driver also noted that if I order four more times, I will get free snacks. AND, I got an extra snack in this bag because it's a special they're running all summer. So, this cute little bag shows up - which is kinda fun. It's like a mini Christmas. So, it's a pretty good deal. I'm guessing they buy in bulk and then portion it out to make money. Plus, the hot fries are a small pack for .99 cents. 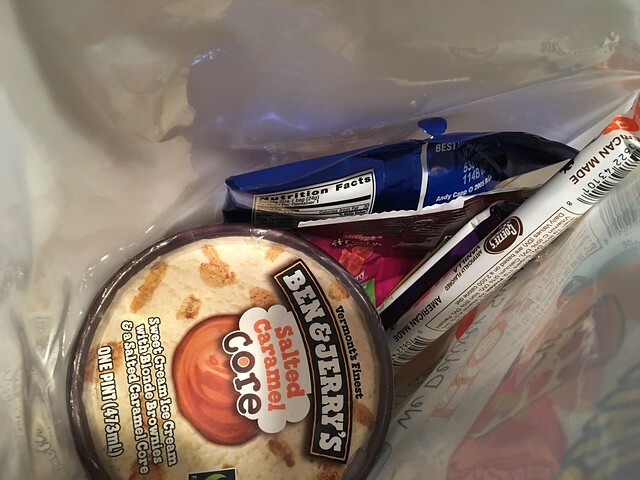 But, hell, if I can get ice cream delivered to me, I'm willing to pay the $6 price. And, as far as I can tell, there's no delivery minimum. Just a couple bucks to trip the delivery driver and seems like a good deal to me! 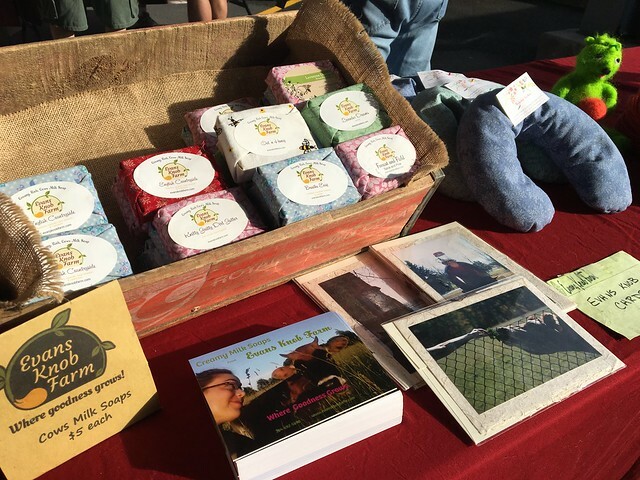 The Morgantown Farmers Market has an incredibly and diverse offering of local vendors where you can get everything from lettuce and soaps to flowers and woolie stuffed animals. Evans Knob Farm is one of the more unique vendors at the market because they do a little bit of everything: jams & jellies, Bloody butcher cornmeal, creamy rich cow's milk soap, salad mix, kale, fresh cut herbs, head lettuces, eggs, duck, rabbit, turkey, lamb, chicken, and woolie items like scarves, mittens, handwoven rungs, handspun yarns and wool needle felted sculptures. Reid and I have grown much of our own food over the past twenty years. We started out with a small garden, a few chickens and turkeys, and 3 small daughters. Over the years we have learned much, and put organic growing methods into practice. (We actually certified the farm under USDA in 2003.) This came out of the concern for our family's health. We could see the over use of antibiotics, herbicides, pesticides, growth hormones and chemical fertilizers. We would like to offer to you some of the same fresh bounty that we have the joy of producing. Although we are changing our certification to Certified Naturally Grown, we are striving to go beyond what the National Organic Plan requires of us. We look at the land as an investment, and a precious gift. Reid and I are making concentrated efforts to nurture the land, building the soil, and getting the eco system within working as one terrific unit. We are seeing evidence that this is working. We see more earthworm activity, less insect pressure, and higher yields. Every year our harvests add up to thousands of pounds of veggies, picked at the peak of ripeness and delivered to our customers within hours of harvest. We bring in very little soil amendments from outside sources. Much of our compost is made here on the farm from our diverse animal population. We do not use raw manures on plots that will be harvested within 140 days. We occasionally will use fish emulsion to do some foliar feeding when the veggies look like they need a boost. We have not used a pesticide in any form for several years. We prefer to bring in and encourage beneficial insects, birds, snakes, (yes, I encourage garden snakes, and black snakes, yikes!) and toads. We also utilize barrier methods of row covers and "Surround." We have nearly 3 acres dedicated to vegetable production, with the remaining 127 consisting of pastures, hay meadows and woodlands. We grow much like the French do with their intensive planting. If we did not pay so much attention to the soil conditions we would not be able to accomplish what we do. 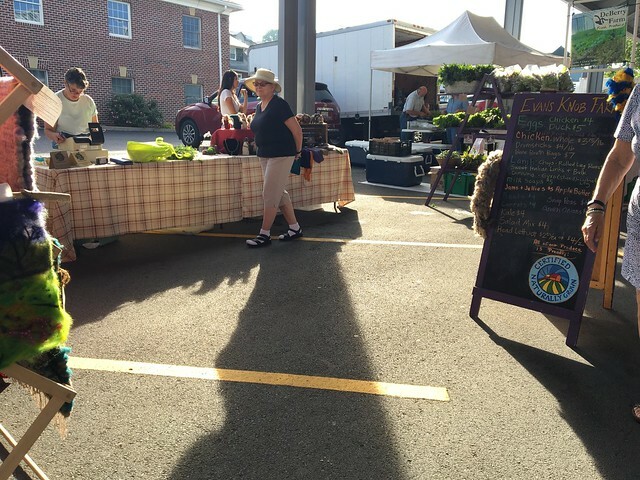 I always try to help profile some of the vendors at the market and Evans Knob has been very involved, and Kathy has even served as president of the farmers market board for many years. So, they're a great, dedicated vendor. 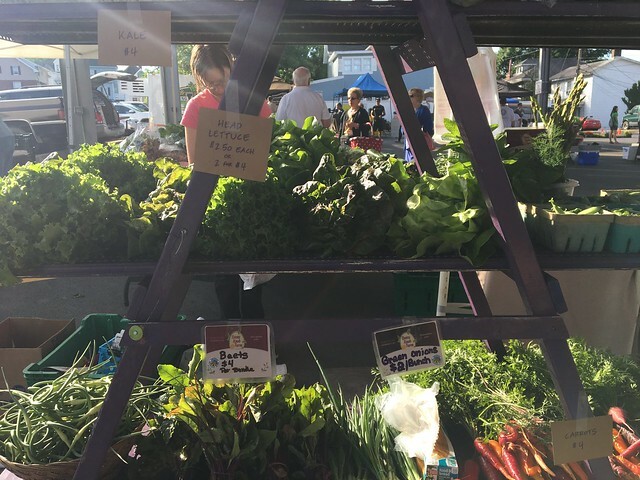 Stop by and see them at the market, or even shop via their website or look into their CSA! We just talked a lot about Austin, but guess what? I made another trip not too long ago over to Seattle So, I'll talk a little bit about some of the great food I got to try there. But, first, we had to get there. 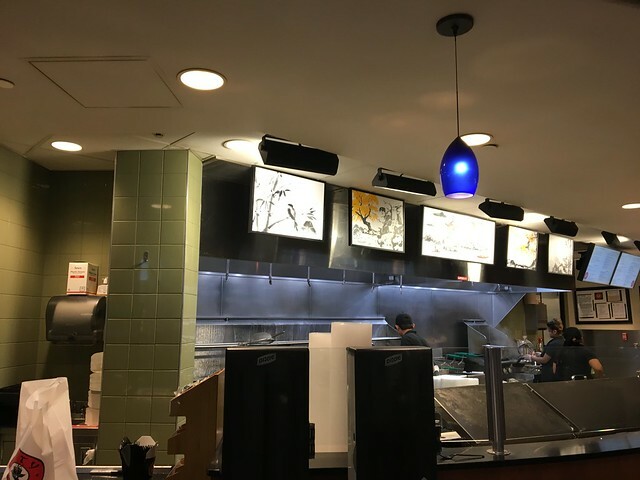 Our flight had a layover in Denver, so I made a beeline for the food court area. The first thing that caught my attention? City Wok. 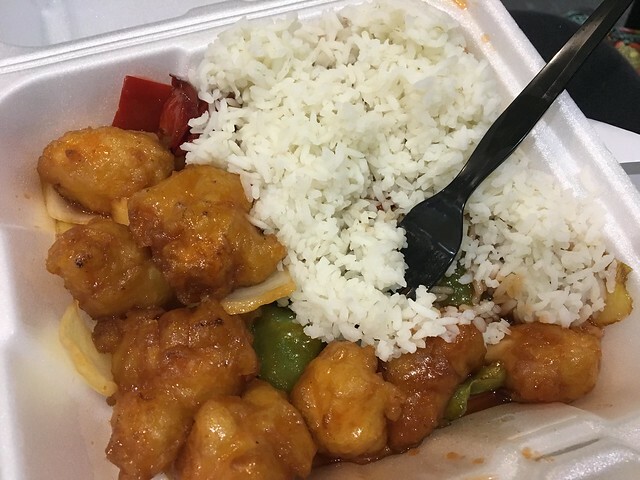 City Wok has some basics, so I went basic with sweet and sour chicken, as well as an order of Krab Rangoon Won Tons. 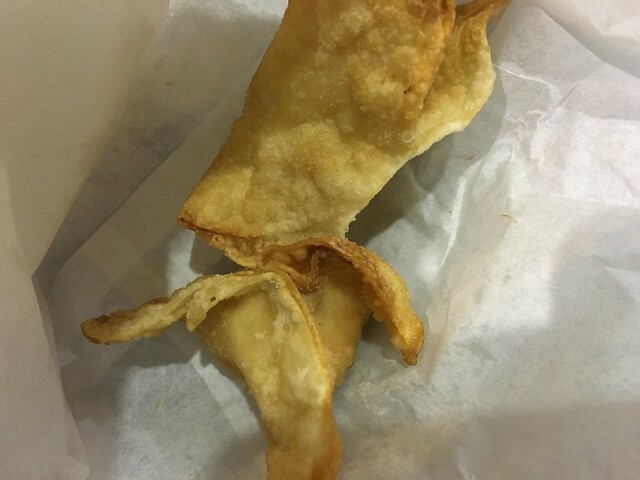 These wontons were decent - not super crispy, inside was pretty average. Same could be said for the main entree. It was just kinda neither here nor there. A little more flavor would've been nice in the sauce. But, not bad. Just pretty middle of the road. 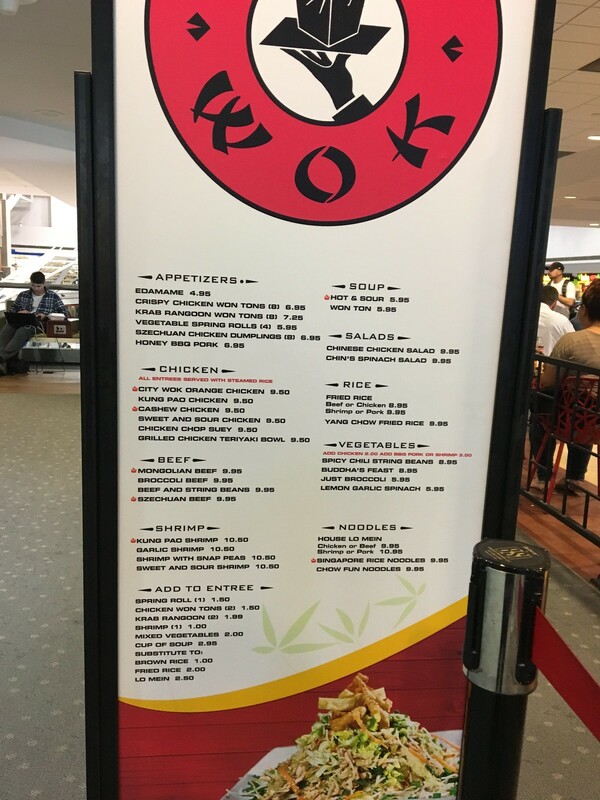 I suppose that's what's expected from airport food. But now I can say I (kinda) ate in Denver! 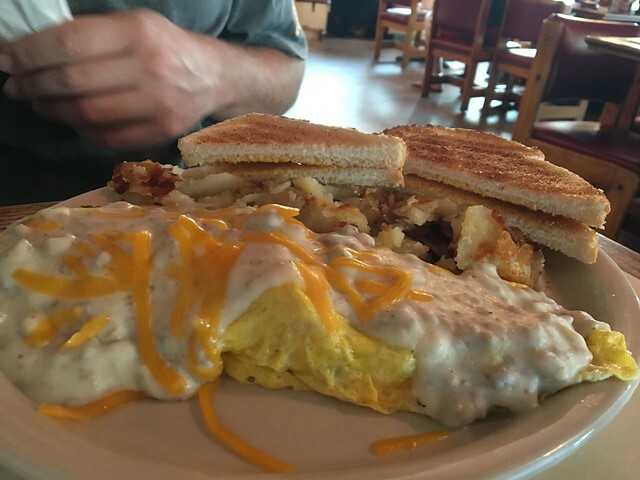 Sometimes, a classic, homestyle breakfast just hits the spot. 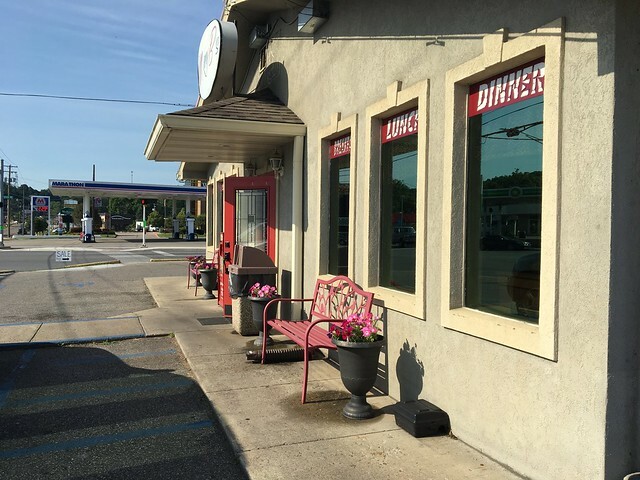 Mary B's Diner is Parkersburg's resident country breakfast diner. It has been credited with having great pie, being the best diner in the area, and embodying that classic diner culture. So, RL and I stopped by for breakfast while in the area. Diners aren't as plentiful in the Mountain State as one would image. 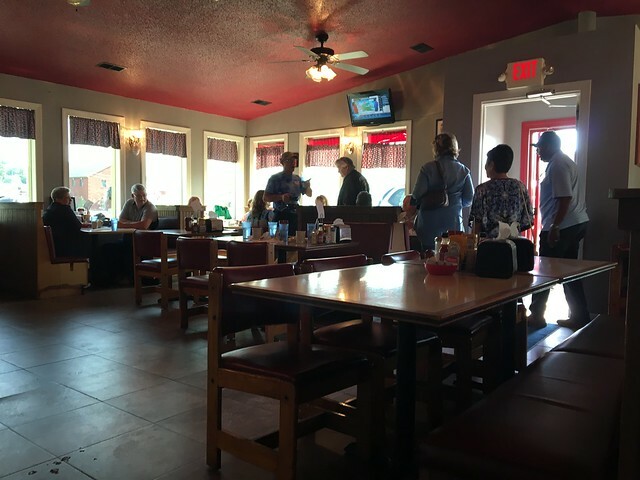 They harken back to a simpler time, so think big portions, great service and traditional foods. But, they haven't stood the test of time in the Mountain State, so I was pleased to try out Mary B's. It's not a huge space, but the worn tables and chairs show the years of love. 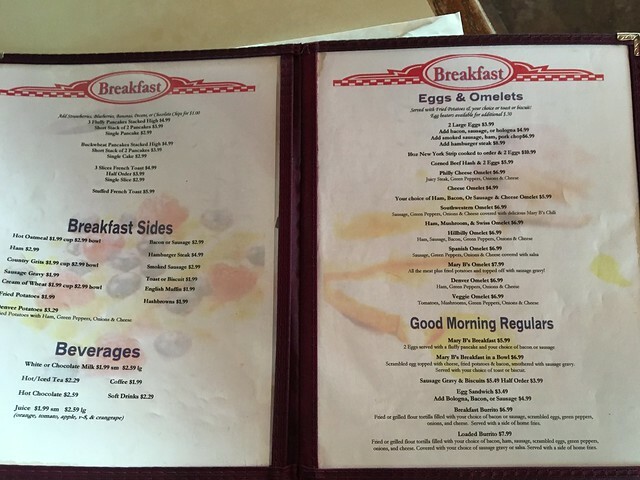 The menu features breakfast options like french toast, eggs, sausage gravy & biscuits, and more. 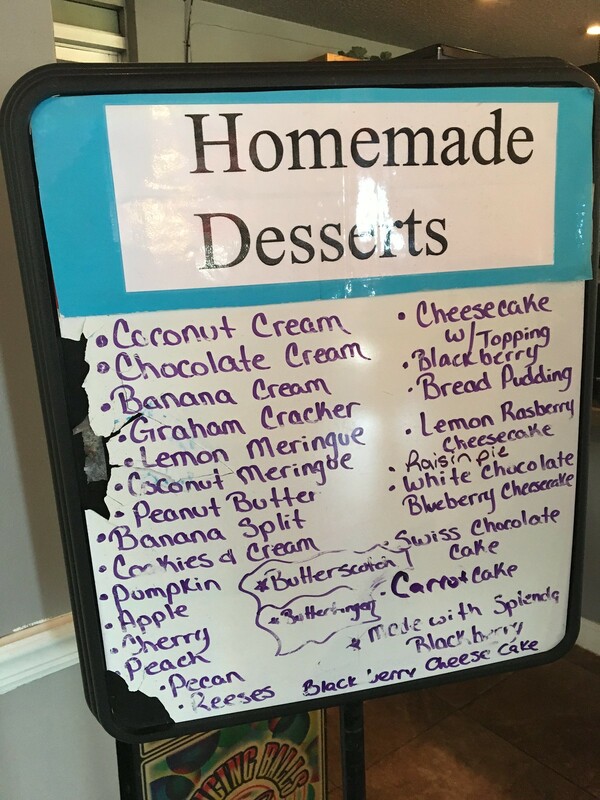 That doesn't even include all the great sandwich and dessert options for lunch. 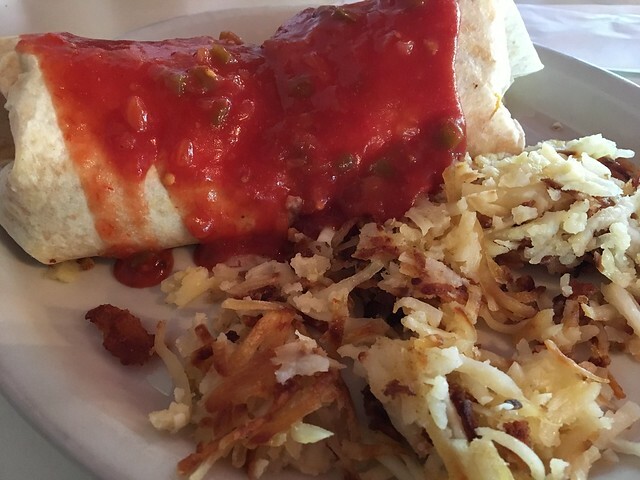 Wanting to go for a little something unique, I ordered the "Loaded Burrito," which had a flour tortilla filled with bacon, ham, sausage, scrambled eggs, green peppers, onions and cheese. I got it smother with salsa (though you can choose sausage gravy if you'd like). On the side, I got an order of hashbrowns. This burrito is no joke. It's large and in charge - and tasty, as that. It was just packed full of everything breakfast food-related. It was so large, I was only able to eat maybe half of it. But with that salsa (and an additional side of sour cream I asked for), it was like a beautiful Mexican-inspired breakfast treat. RL got a more traditional eggs & home fries and seemed to enjoy those as well. Overall, this is a classic diner with all the necessary fixins. If you're looking for a classic comforting meal, look no further. Huntington's resident badass food truck has been elusive for me. 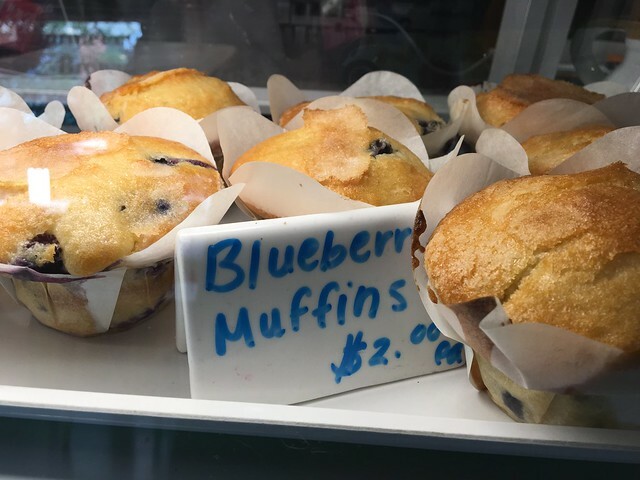 The baby blue truck with graffiti-esque writing and a hand sign insignia is well-known for creating some tasty bites. 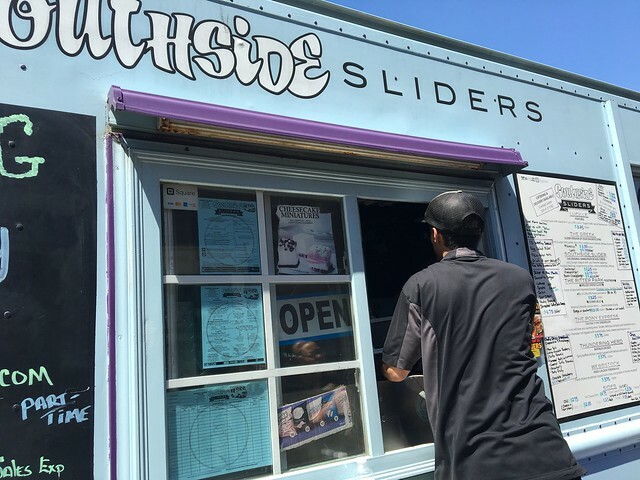 Southside Sliders changes locations, is only open for certain hours, and it just hasn't meshed up with my schedule when I'm in town - until now! It has been a lifelong dream to start some type of deli or sandwich shop. And when this food truck craze starting growing, I knew it was the opportunity I needed to pursue. And I could have not picked a better person to help me with this adventure-Michael "Special" Williams. I have observed his work discipline for many years and really appreciate his passion for making good food. Together we hope to bring good food and great times to Huntington and surrounding areas. 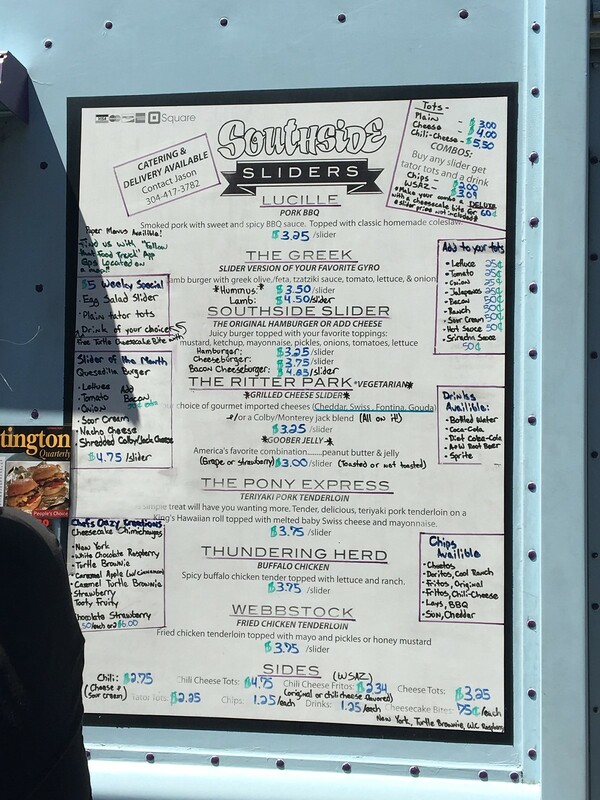 This food truck specializes in sliders and tater tots. There's a pork bbq slider, greek slider, cheeseburger slider, grilled cheese slider, teriyaki pork tenderloin, buffalo chicken and fried chicken. Plus, there are some specials - like the egg salad slider, quesadilla burger slider and cheesecake chimichangas. Sliders are miniature burgers and sandwiches, about the size of your fist and ranging in price from $3 to $4.50. 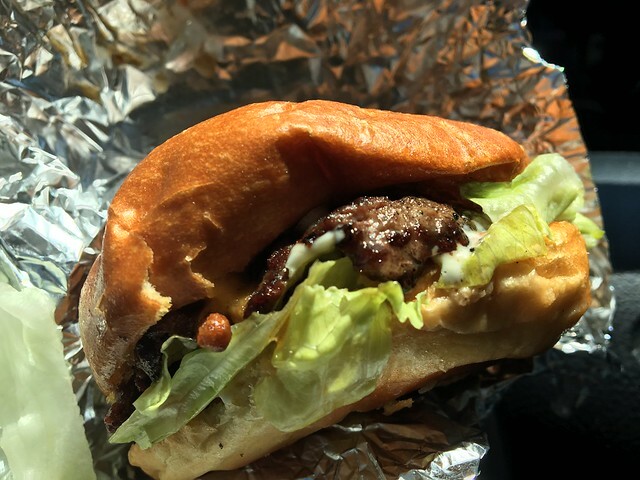 "Our top seller is The Greek ($4.50), which is a burger made from ground lamb with a yogurt sauce, kalamata olives, lettuce, tomato, onion, red pepper and feta cheese. It's sort of like a gyro on bun. It all just blends together, and we serve it on a yeast roll." Williams said. 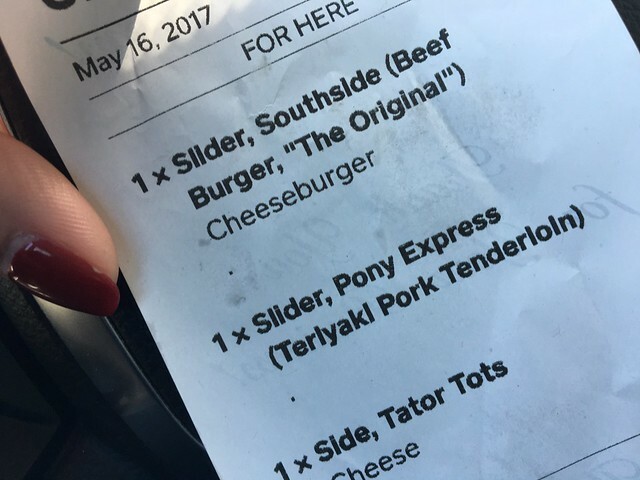 "We also have the Pony Express ($3.75). It's a teriyaki-marinated pork tenderloin we serve on a toasted Hawaiian roll with mayo and Swiss cheese. It's all simple flavors, but everything blends together in a really amazing way." 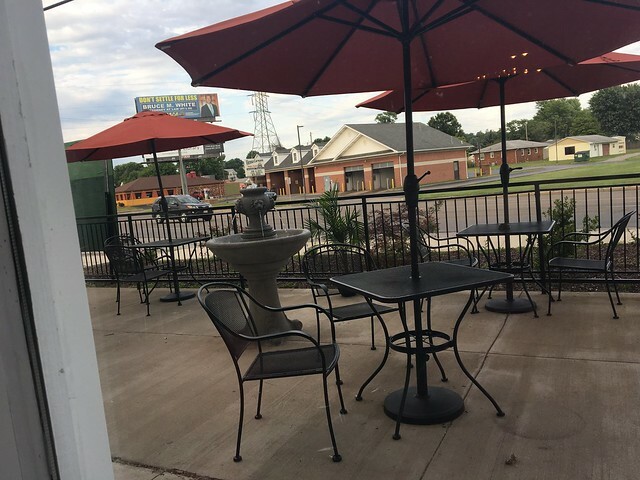 Other sandwiches include the "Southside" ($3.75), a traditional hamburger (or cheeseburger) served on a Hawaiian roll, and the "Lucille" ($3.75), which is pulled pork with homemade coleslaw. 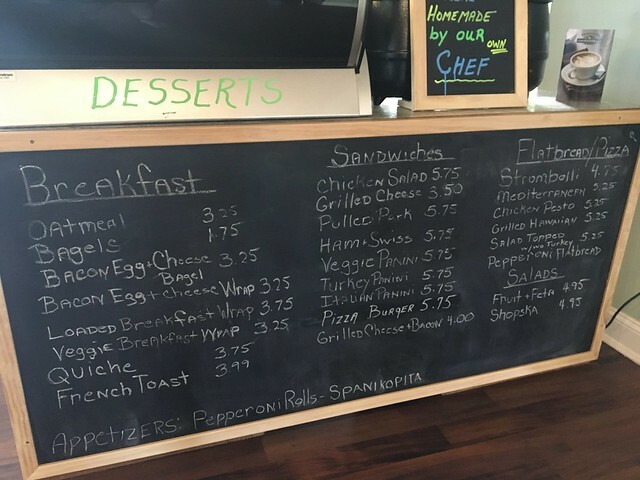 There's also a "Ritter Park" kids menu with grilled cheese ($3.25) and peanut butter and jelly ($3.00). Side items include chili-cheese tater tots. 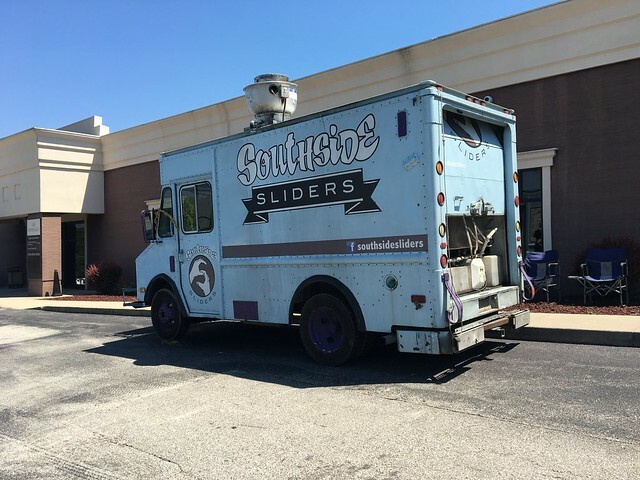 As Southside Sliders is a food truck, the location and hours vary from day to day (HERALD DISPATCH). So, I got a classic cheeseburger slider with all the fixins (mayo, mustard, ketchup, lettuce, pickles, onions, tomatoes). It's a solid slider! I wish I had a better picture, but once they get all wrapped up, they get a little bit smooshed. Regardless, even if it's a small patty - it's well seasoned and tasty. 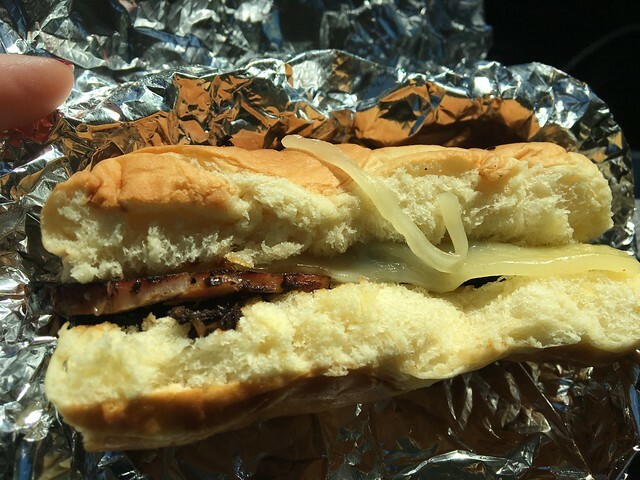 Now, the "pony express," which is a teriyaki pork tenderloin, is served on a King's Hawaiian roll, topped with mayo and melted baby swiss cheese. This was SO good! It's simple, truly, but the flavors meld together for one really tasty slider. 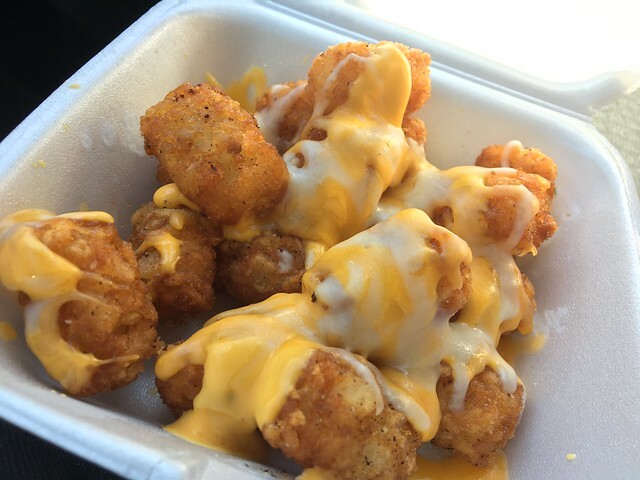 Also, I had to get an order of the cheesy tots. My only problem was not thinking to get ketchup for the long trek home. Regardless, they made for a welcome companion. Vienna is home to one of my favorite concepts: a coffee shop by morning, wine bar by night. I was first introduced to this concept in Milwaukee and immediately fell in love. So, I'm super happy to see this come to West Virginia. 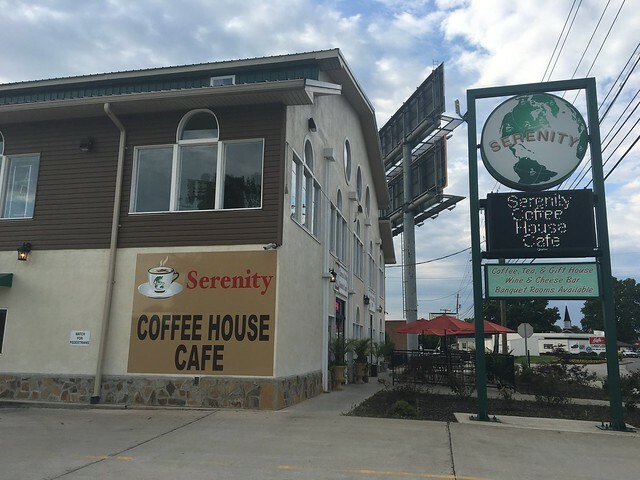 Serenity Coffee House & Cafe, located along Central Avenue in a large building, has ample parking, a drive-thru and even outdoor seating where you can sip your coffee and watch cars pass. 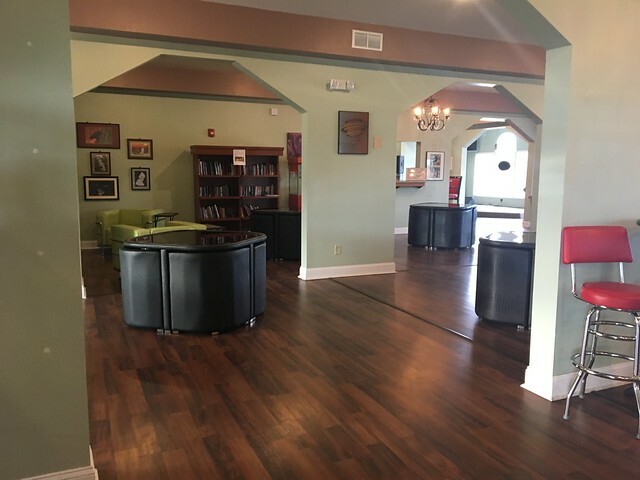 Walking inside, there is a large open space with angled archways leading to cozy spots - high tops, tables, plushy seats. 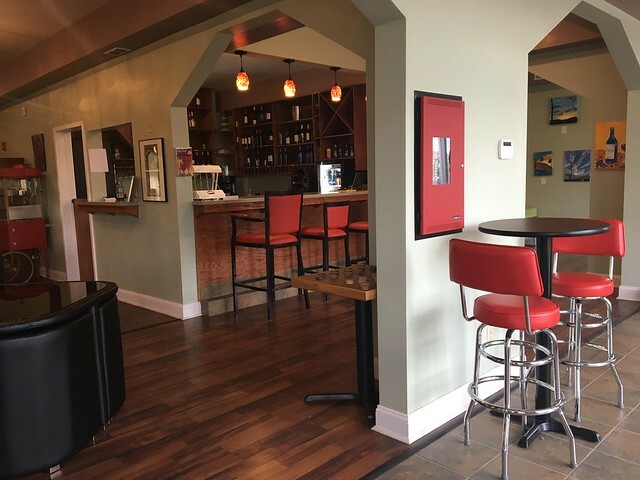 Head to the left for coffee, head to the right for libations. 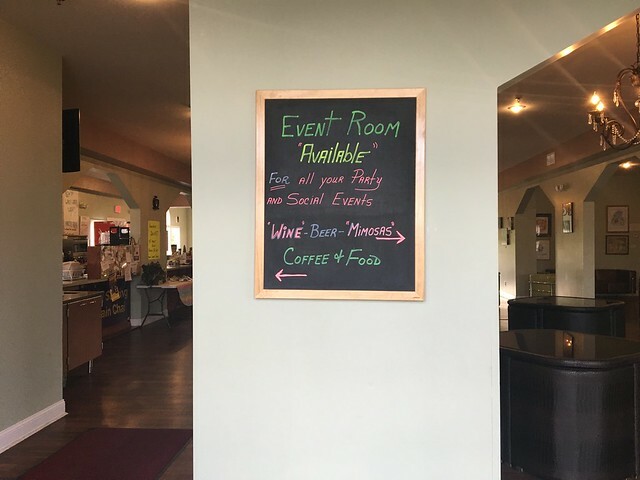 Since it was still early, I headed to the left for a look at the coffee and lunch menu. 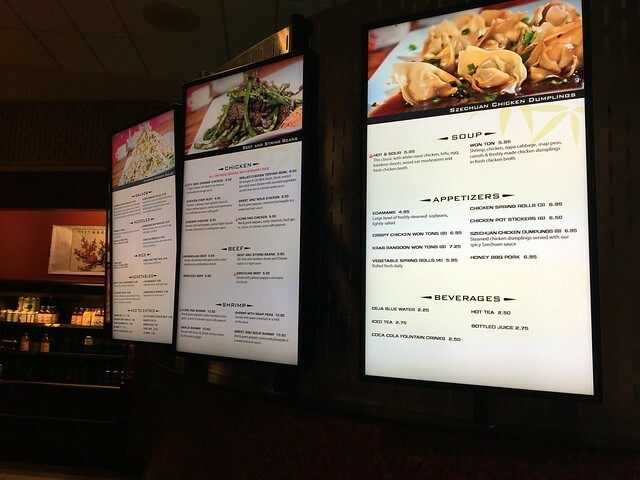 There are a few different menus and signs, so I took a minute to take it all in. There was a case directly in front of me that housed pepperoni rolls and a menu full of breakfast items, sandwiches and flatbreads. 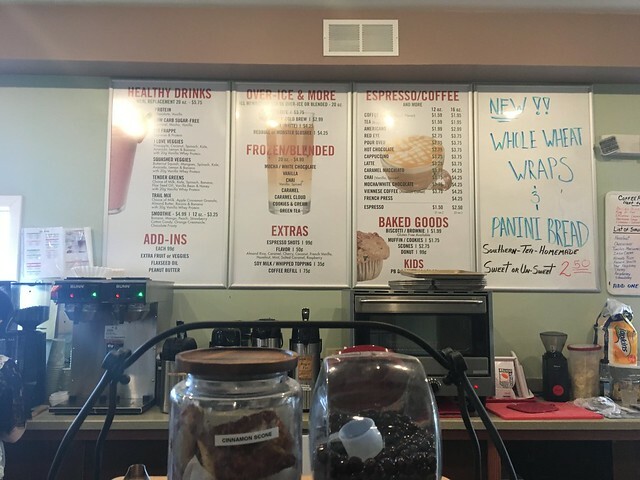 Behind the counter, there is a menu featuring coffee drinks, plus some additional goodies on the counter - snack cakes, desserts and more. So, I wanted to try a little bit of everything. I ordered an Americano (water + espresso), with a shot of caramel syrup. And, I snagged a coffee cake from the display bin. And, I got a pepperoni roll - because why not have a little of everything? 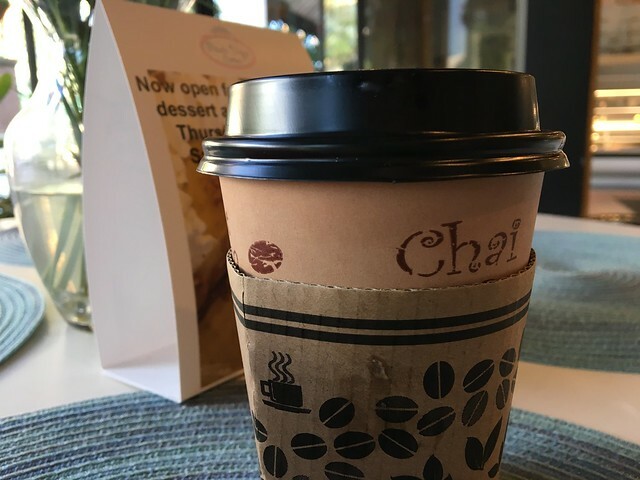 The coffee was good - and there is a little station to add your own creamer, sugar and what have you. I added just a touch of sugar because apparently I needed it this day But, that made it perfect. 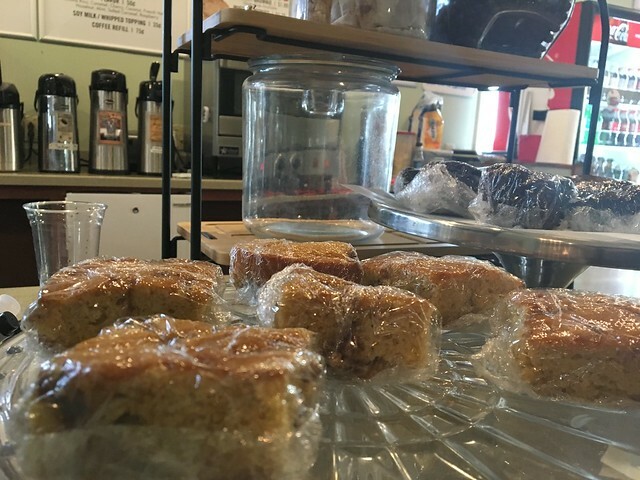 The coffee cake was delish. 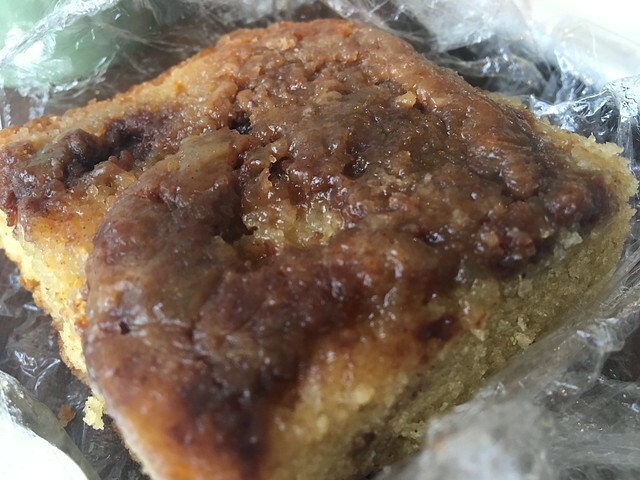 I so rarely get coffee cake, so this was a unique treat. 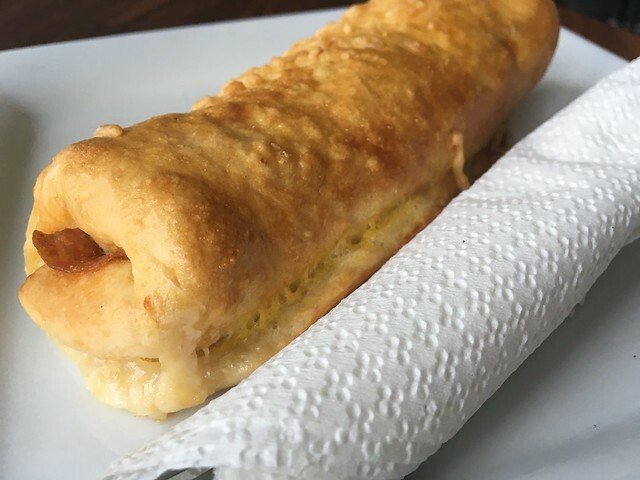 And, the pepperoni roll was a lighter dough that was a bit flakey - different, but good. This place is really cool. 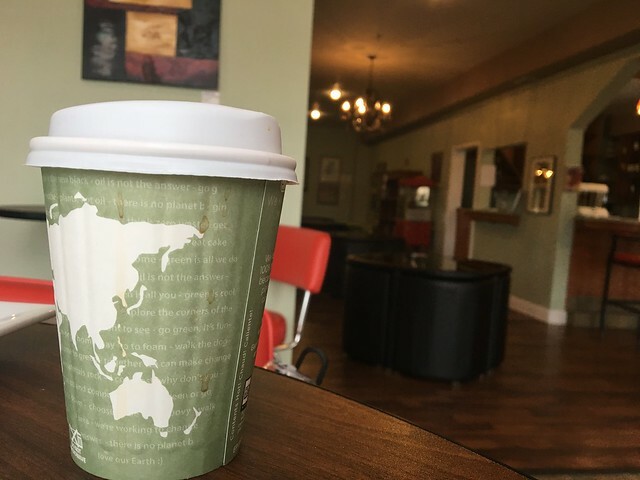 I could see myself coming in and doing work with a coffee. Or, coming in on an evening and doing work with a glass of wine. All while having a tasty snack, of course. Upstairs, they have some shops, but it wasn't open while I was there, unfortunately. But, stop by, do some shopping, get a coffee (or wine, no judging), and have a tasty snack. 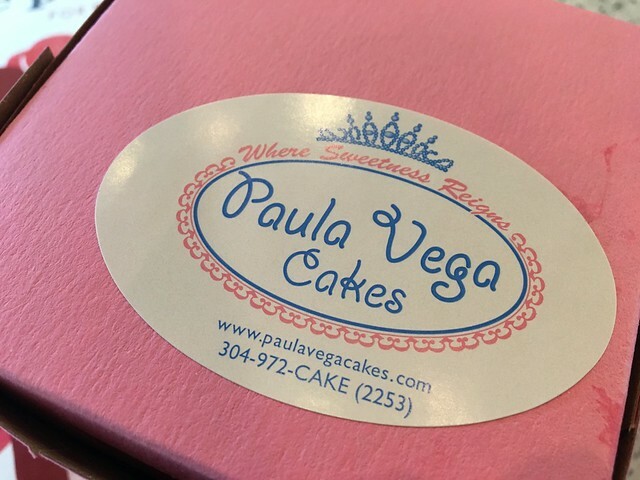 While killing some time in Huntington, I stumbled upon Paul Vega Cupcakes. This shop is really cute - from the black and white awning and lights outside, to the softly lit, sweet interior. The case is full of all sorts of tasty looking cupcakes. There are tons of different flavors, depending what day you're there. It all began baking as a child under the guidance of my wonderful mother. 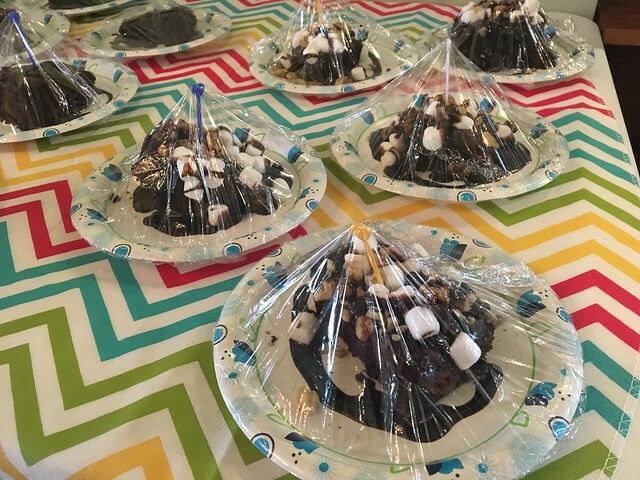 With four older brothers, I always had plenty of volunteers to test my creations. It was a great way of getting positive attention from them! As a registered nurse for 19 years, I finally traded in my syringe for a piping bag to fulfill my love and passion of putting smiles on peoples' faces! 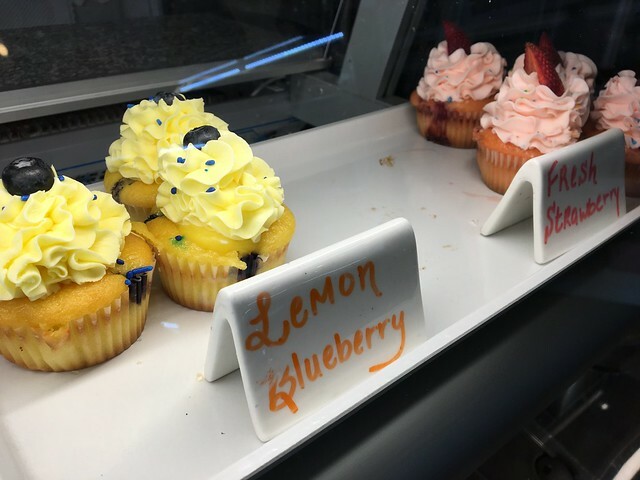 There is no other joy i like better than to see my customers approach the cupcake bakery case, and see their eyes light up with a smile on their face! Everyone loves cupcakes including me! 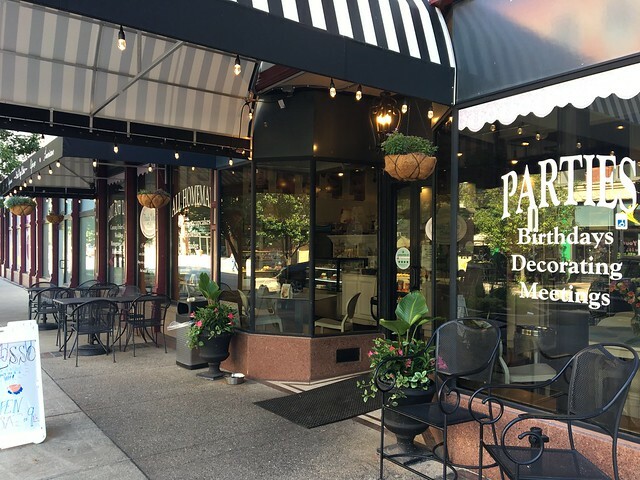 At Paula Vega Cakes, we do not skimp on the ingredients such as creamy butter, rich chocolate, real vanilla beans, heavy whipping cream, pure cane sugar, whole eggs, fresh raspberries, blueberries, strawberries and nuts. These are my staples! Everything is made by hand, by me and my trained bakers, using my recipes I have tested and tried to perfect over the years. Each of my cupcakes and cakes to order have their own special trademark of fruit, cream or fudge filling. 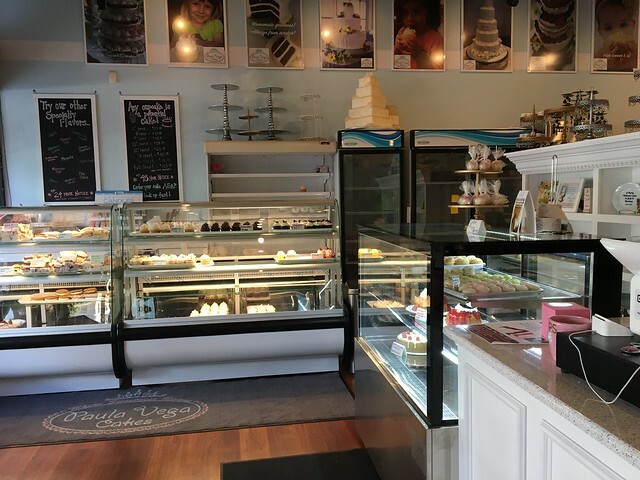 My goal, at Paula Vega Cakes, is to provide you with luscious indulgences that lift your spirits and makes you smile! 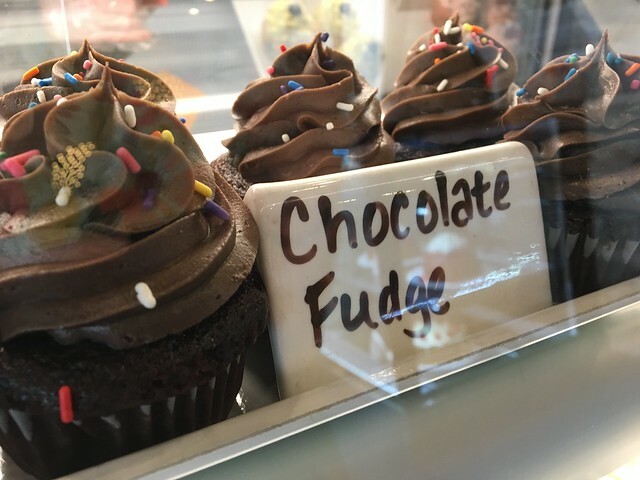 I invite you to come by and try one of our cupcakes (ABOUT). When I asked which flavors are most popular, I was told the Fresh Strawberry was the winner. I'll take one then! And, I also asked for a cappuccino with a shot of caramel. There's just not a much better combination than a coffee and a pastry or sweet treat. 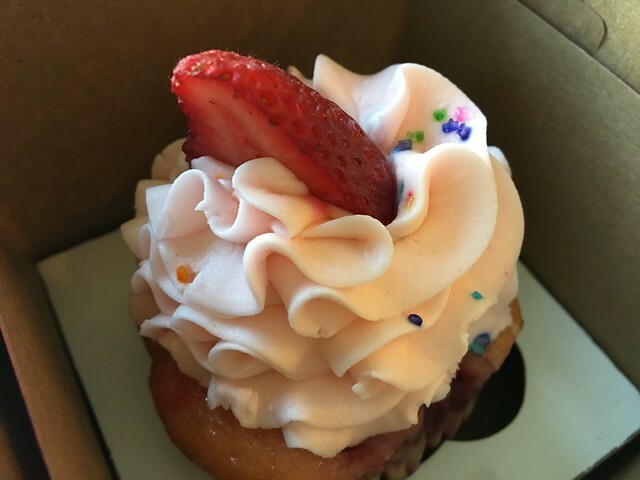 The strawberry cupcake has real strawberries in it, and the frosting was also strawberry flavored - strawberry on strawberry! It's a good cupcake. 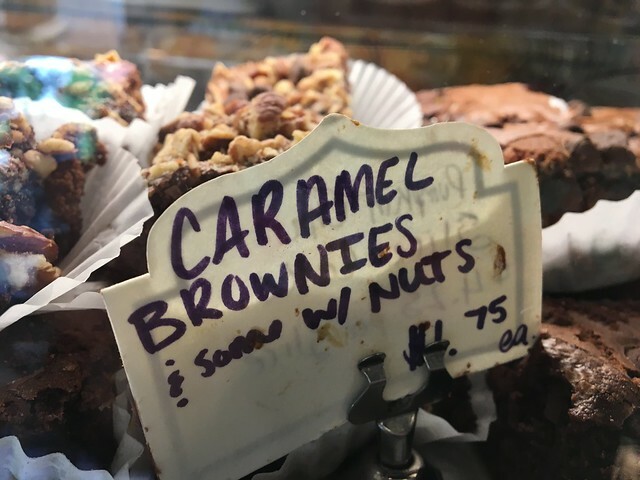 That, paired with the coffee made for a perfect stop. 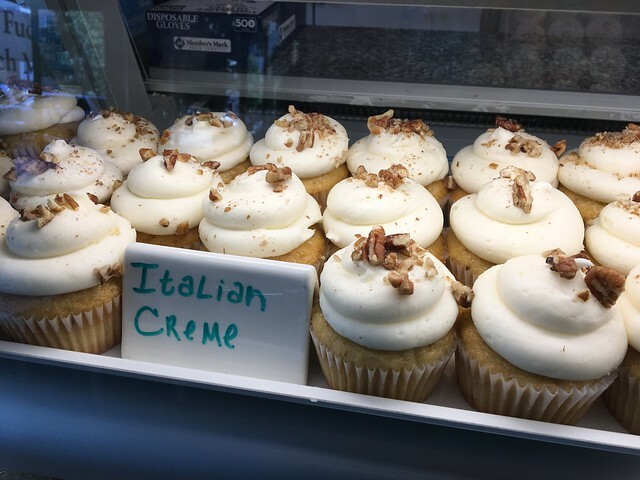 What's your favorite cupcake to get here?